Each year we scour the city of Honolulu to bring you the most notable, new dining destinations and every year we continue to be utterly impressed. 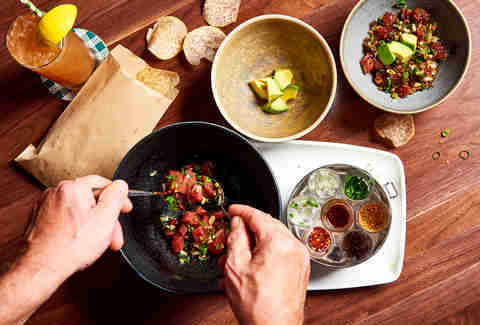 With restaurants from Kaimuki and Waikiki taking center stage this year, here are the 12 brand new spots where you can make up for lost time with everything from tea pairings, tuna pizza, to a hip and trendy taco joint. Here are the best new restaurants to try in the city right now. Quickly gaining a loyal following within the local Kaimuki community, it’s become the “go-to place” where friendly bartenders serve up hand-crafted cocktails and co-workers spend their “pau hana" time chatting their troubles away. A lively and fun bar atmosphere with and additional upstairs loft area for diners, this place not only relieves stress, but does a mean beef tataki. Dig into their smokey cheesy mac, back ribs or truffle fries, the list goes on and it’s all delish. 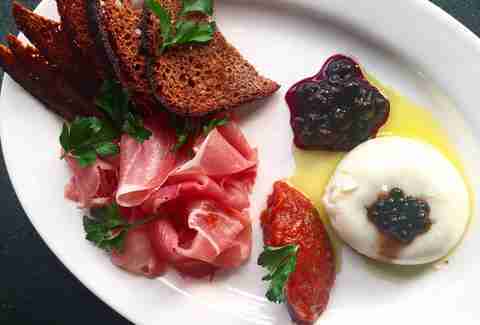 Their weekend brunch boasts bottomless mimosas, but do order the smoking pig. You’ll thank us later. One of the first things you’ll notice at Rangoon is the amazing smell. Scents of curry and fresh spices waft up to greet you as soon as you walk through the doors. Located in the old Epic restaurant space, it’s everything we’ve been waiting for and more. Asian art lines the walls, and every dish matches that energy with flavor. Try the (literally) smoking hot crispy samosas filled with spiced potato and lentils, an authentic Burmese tea leaf salad that tastes as refreshing as it sounds, or the traditional bowl of Burmese soup, Moh Hin Ga -- which will leave you warm and fuzzy for the rest of the day. This restaurant has pushed the boundaries since its opening and continues to inspire us with new and interesting takes on Asian fusion. But what else would you expect from Iron Chef Masaharu Morimoto? Located in the new Alohilani Resort, the restaurant boasts a lovely outdoor lanai with stunning Waikiki sunsets. Sip on a sake sampler or indulge on sticky ribs, a light and crispy tuna pizza, or enjoy their signature dish, a tableside-prepared Ishiyaki Buri Bop. Honestly, there isn’t a bad dish on the menu. Finish off with the blazing chocolate sphere, ignited tableside for your viewing pleasure. Forget ice cream that comes in a boring standard cone. 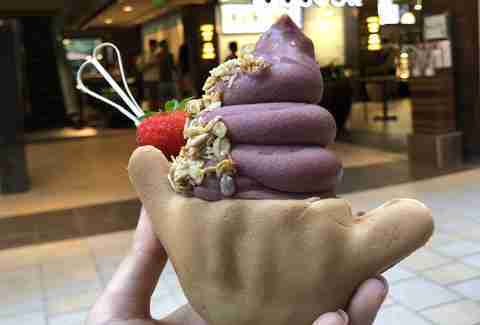 This cafe isn't a restaurant per se, but it serves up a whole lot of aloha with their custom-made shaka-shaped waffle cone. Order their perfectly baked and shaped “Skaha Boom” and go crazy on Instagram. Make sure you get to the filling on the bottom, where all the sweetness hides and enjoy creating your own version of creamy, cold happiness. 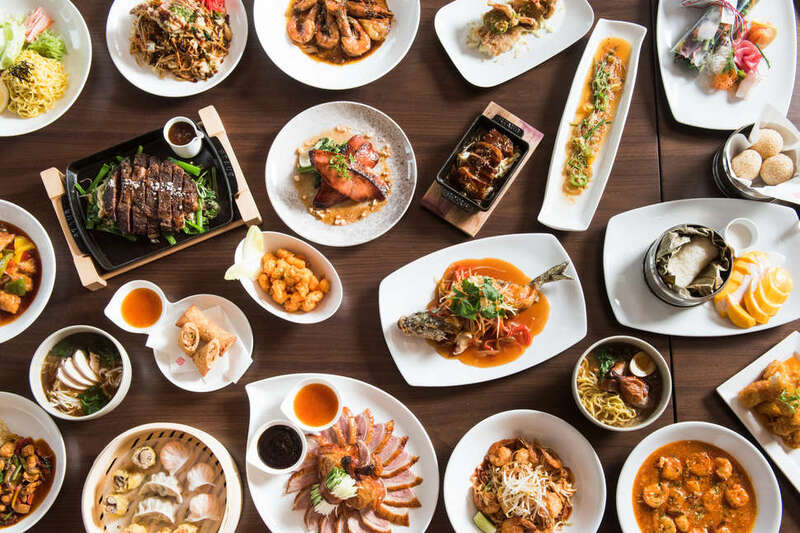 Top-notch service, superb ambiance, and visually stunning dishes make this new noodle house in Waikiki a delicious dining experience. 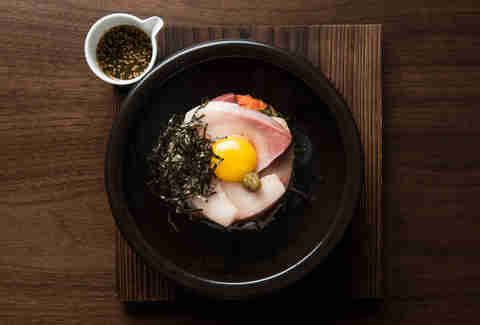 Starters such as the seared wagyu sushi, spicy tuna tar tar cones, and beef buns are definitely noteworthy. Popular udon dishes such as the creme uni and beef sukiyaki are all served in ginormous, beautiful bowls. And for dessert? Water cake -- which looks like a giant raindrop and is known in Japan as mizu shingen mochi. There's nothing more fun for dessert. Paris Hawaii is a charming newcomer nestled in the heart of Waikiki on the corner of Seaside and Kuhio, and it's got a degustation menu that features local ingredients and showcases the cooking techniques of Chef Yuya Yamanaka. Originally from Hokkaido, Japan and inspired by French cuisine, Yamanaka packed each course of the rotating prix fixe menu with a discrete element to delight your senses. From the restaurant's rich and creamy Hawaiian Espresso, a fresh cold corn palate cleanser with a hint of coffee, to the glorious Keawe wood-smoked Big Island beef, each dish is meticulously prepared and flavorful. Dine at the eight-seat chef’s table located on the bar side of the kitchen for an amazing culinary experience or head to the back of the room for a more intimate atmosphere. Either way, the service, decor, presentation, wine pairings, and even tea pairing were spot on. Make reservations ahead of time and soon, as the menu changes, and this hidden gem won’t be hidden for long. This new, cool Chinese-style skewer house makes dining out with friends crazy fun, though selecting a favorite from the menu may take some time. Honolulu Skewer House lets you choose between picks like bean curd, eggplant, chicken skin, pork feet, intestines, or black pork belly, so don’t be tempted to stick to the basics. The beef-wrapped soft boiled egg, pork belly–wrapped enoki, and scallion pancake are definite standouts, and you can choose between flavors like soy, mild, spicy, and extra spicy to enhance every item. They keep bottles of house sauce on the table for a reason, so we suggest you use it. When celebrity local chef Peter Merriman opened up his first restaurant in Honolulu, the whole city was buzzing. 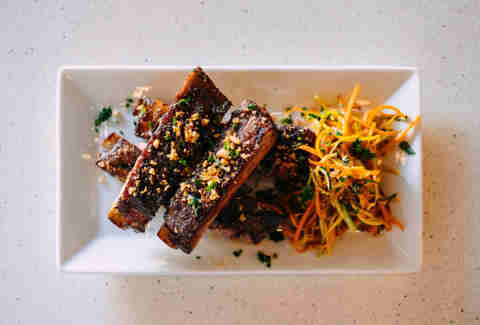 His new farm-to-table dining concept located on the ground floor in an upscale residential tower in Kaka'ako is still the talk of the town. It's got music every single day. It's got a contemporary island vibe -- graced with shiny wooden tables and beautifully upholstered chairs -- is classic, posh, and inviting. And once you walk inside, the warm staff will serve you hot, buttery, and fresh biscuits alongside with Maui onion soup will taunt your tastebuds, and the house-made cavatelli pasta and prime bone-in New York steak are definite must-haves once you make a decision on an entrée. Also, do make a reservation ahead of time. Don’t let the white tablecloths and simple decor deter you. This little gem from chefs Kenny Lee and Aleina Chun -- alumni of the Honolulu's terrific Senia -- is serving up delightful Asian comfort food with a bang. Their fried oysters are made with a curry aioli, adobo fried chicken, and sous vide duck breast, and will leave you speechless as more flavors than you can count bounce off the walls in your mouth. The service is efficient and friendly, and if you're lucky, the chefs may come out to greet you and your fellow diners. 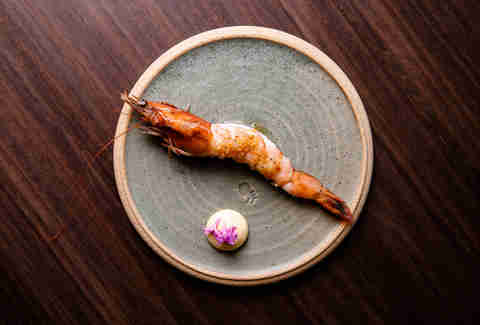 Intimate and stylish, this new restaurant brings “Kaiseki-style” Japanese cooking to the heart of Honolulu and is every bit as good as it sounds. The restaurant seats at most 30 people, but its layout is clean and efficient, evocative of comparably intimate restaurants you might find in Japan. We suggest bringing a friend to try the Akira Tasting Course; a nine-course meal of sushi, sashimi, grilled, simmered, and more dishes all designed around the menu. It's a bit pricey, but it makes for a brilliant date night. 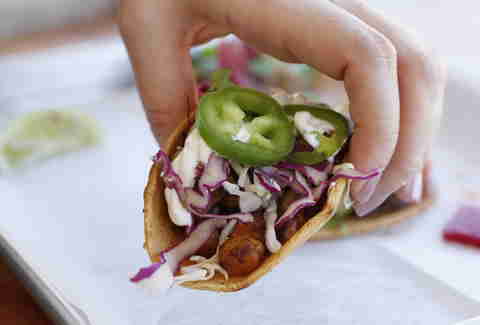 With tacos made fresh to order, this new fusion joint is a newcomer at SALT restaurant and shopping center in Kaka’ako. Carnitas, camarones, and chicken tinga are the most popular tacos on the menu, but what makes this place stand out is their fusion twist and fresh handmade tortillas. That attention to detail on dishes like their pan-seared baja fish tacos, topped with roasted cauliflower, is simply amazing. Wash it all down with a bottle of Jarritos and you’re good to go. What do the names "Alan Wong," "Joe Vs The Volcano," and "Golly-Zilla" have in common? They’re all signature sandwiches created by a Northern Californian sandwich guru. Recently opened and located in the new Lanai food court at Ala Moana Center, their perfectly layered sandwiches served on toasted Dutch bread is what everyone comes for. 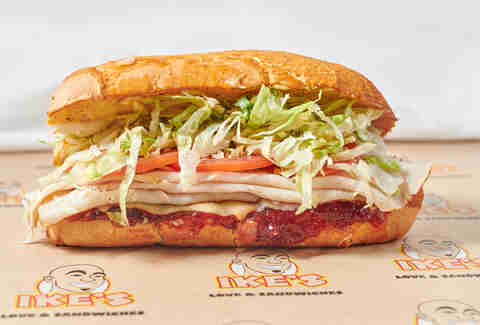 Ike’s Dirty Secret Sauce is spread on every sandwich and baked right into the bread, and with over six meatless sandwich options for our vegan and vegetarian friends, it's no wonder everyone is flocking to there. Wendy Awai-Dakroub is a contributor to Thrillist.